Today I’d like to welcome guest author, Ilyssa Bozza. Ilyssa will be sharing some of her favorite easy campfire recipes and car-camping meals. 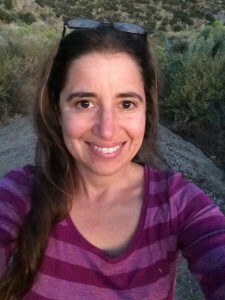 She blogs over at Pandaneo, where she blogs about family camping, gear, and other outdoor adventures. Welcome, Ilyssa! Some people feel that cooking when camping is just another part of the adventure. As someone who is not a fan of cooking even when at home, and wants to spend as much time as possible hiking, I want to cook the simplest camping meals possible when adventuring. 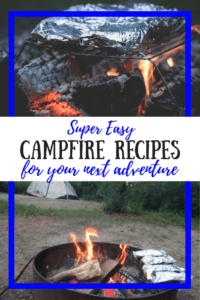 My husband, on the other hand, loves to create easy camping recipes that are similar to what he would make at home. 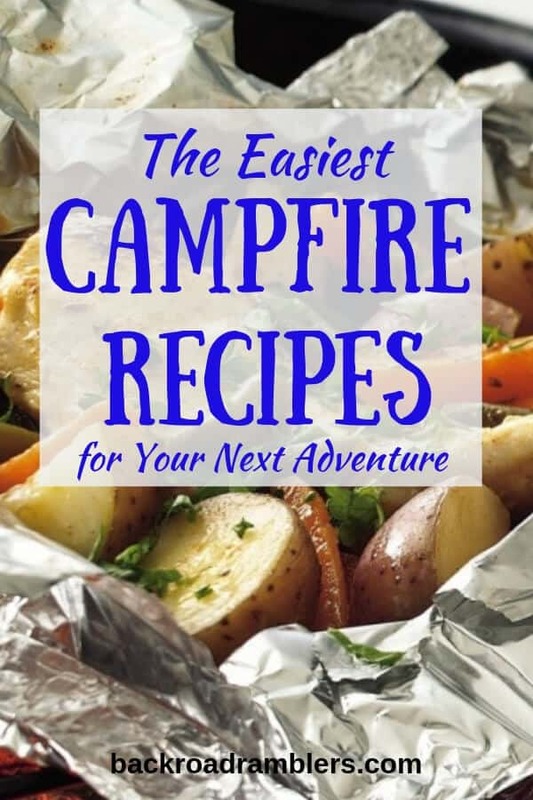 Regardless of how you feel about cooking when you are spending the night outdoors, the following easy camping recipes won’t hurt your budget or get in the way of your planned activities. These easy foil campfire packets are also a cinch to clean up! You will also need a large bowl or large zip-top bag, as well as aluminum foil. First, put the chicken, onion, mushrooms, bell peppers, garlic, and potatoes into a large bowl or a large zip-top bag. Then, add the olive oil and lemon juice and mix well. Remember that you can modify this recipe as you like. My daughter is a picky eater, so I usually set some chicken aside for her that I mix with oil only and cook with broccoli. Vegetarians can leave out the chicken and include more vegetables. For variety, you can include carrots, zucchini, spinach, squash and any seasoning that you prefer. Once your mixture is complete, you can divide it among 4 large sheets of aluminum foil. This offers another opportunity to customize; someone who does not like bell peppers does not have to include them in their pocket. Once the mixture is spread on the foil, place another sheet of foil on top of it and roll up the edges. Then you will get another sheet of foil and wrap each pocket again so each one is double wrapped. Place the pockets among the hot coals of your campfire until the chicken is opaque; typically around 40 minutes. Another benefit to this meal is that it’s easy to clean up! Camping quesadillas are always a hit! These are the basics; remember that you can change this around to satisfy everyone in your group. You can leave out the meat, add additional vegetables, etc. We tend to include chopped avocado, tomatoes and onions to the tops of our quesadillas once they are cooked. On each tortilla, spread black beans, chicken and cheese, along with anything else desired, and fold the tortilla over, covering the ingredients inside. You will then place the tortilla on aluminum foil, using enough foil to cover the top and bottom of the quesadilla. 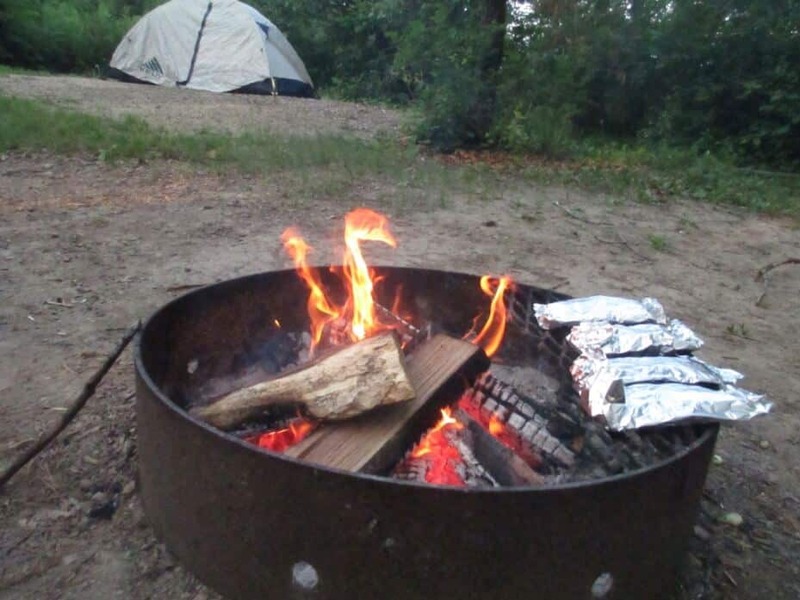 Then, put the foil-wrapped quesadilla on the grate above the campfire, allowing it to cook until the tortilla is crispy and the cheese is melted. Once the quesadilla is cooked, cut into quarters and serve with salsa and any other garnishments you enjoy. After preparing your ingredients, season as you like. It helps if you have a homemade camping spice kit. If you are trying to meet the preferences of different individuals, you may have to set aside ingredients. While most of my family likes things spicy, my daughter is not a fan of anything hotter than ketchup. My husband marinates the steak and vegetables in a homemade marinade, leaving some plain for her “special” kebab. As a vegetarian, I get the special marinade, without the steak. Once your ingredients are seasoned, place them on the skewers/kebab sticks. You can cook these on the grate over the open flame of your campfire. It will take around 10 minutes to cook these; remember to turn them halfway through cooking so that they cook evenly. These can be made with chicken, fish, tofu, and all sorts of other vegetables. 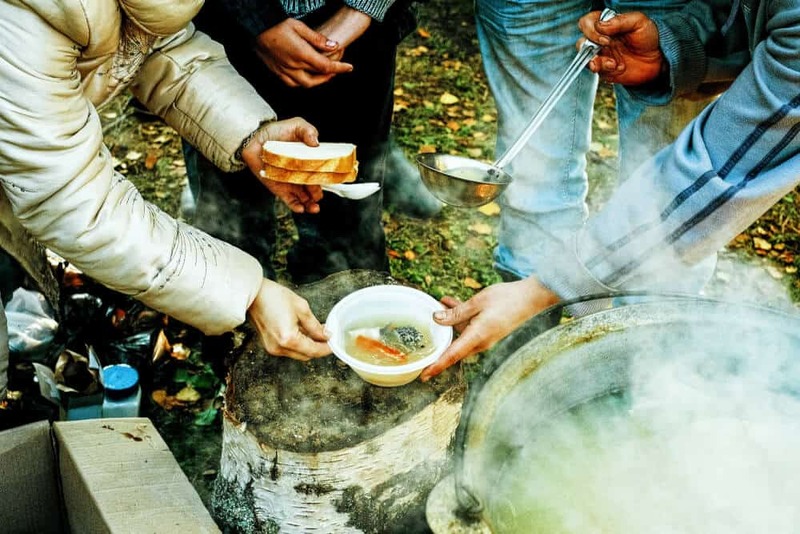 The easiest way to eat while camping is to heat and serve. For shorter camping trips, you can prepare some of your food ahead of time, and then use your campfire as an outdoor microwave. For example, you can make breakfast burritos at home before leaving on your trip. Mix scrambled eggs with cheese, bacon, sausage, and potatoes, (and anything else you would enjoy), and roll the ingredients into flour tortillas. You can then wrap the burritos in aluminum foil and store them in your cooler. 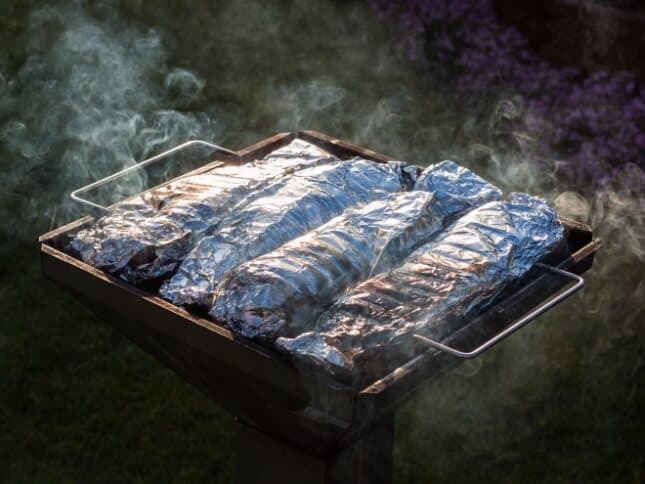 In the next day or two, these burritos can be heated up on the grate over your campfire. You will then have a warm, hearty breakfast that will give you the energy you need for adventure. It’s probably the easiest campfire cooking ever, just like using a microwave at home. Cooking when camping does not have to be complicated or get in the way of the activities you have planned during your trip. With just a little preparation and creativity, you can meet the preferences of everyone in your group and have very little clean-up – all without ever purchasing a camping stove. About Ilyssa: Hi, I’m a mother of four who is employed full-time as a grant writer and who enjoys writing freelance articles in my spare time. I have a great love of adventure and the outdoors, which I hope I am passing along to my children. Last summer, my family and I took a five-week road trip, camping and exploring most of the western United States. The trip inspired me to work towards achieving flexible employment and/or financial freedom, so that we may continue to travel and explore all nature has to offer, and not just for a few weeks out of the year. Please visit my blog, Pandaneo, and connect with me on Facebook. Great idea to make cooking a “hobby” and not a “chore”! Excellent perspective shift! Great recipes ! Ilyssa, these are great ideas. Have to try them when I go on my next camping/hunting trip. Thanks for sharing! Awesome! 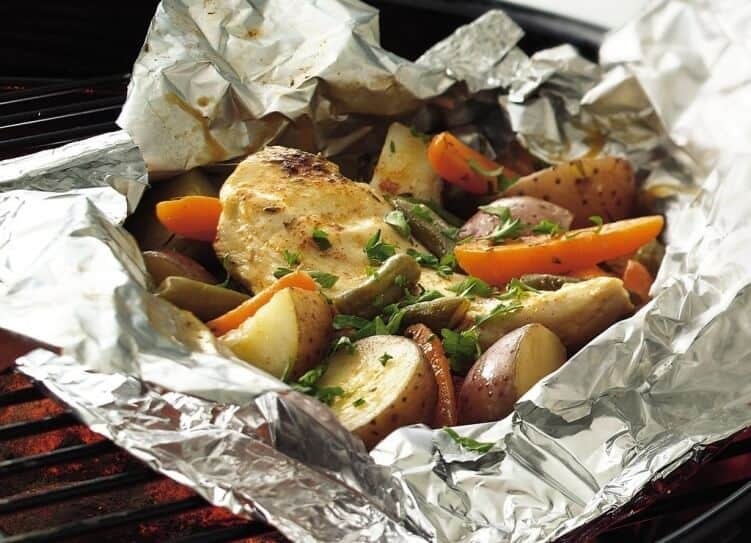 We’re big fans of the tin foil packets! Super good and you can prep them ahead of time. 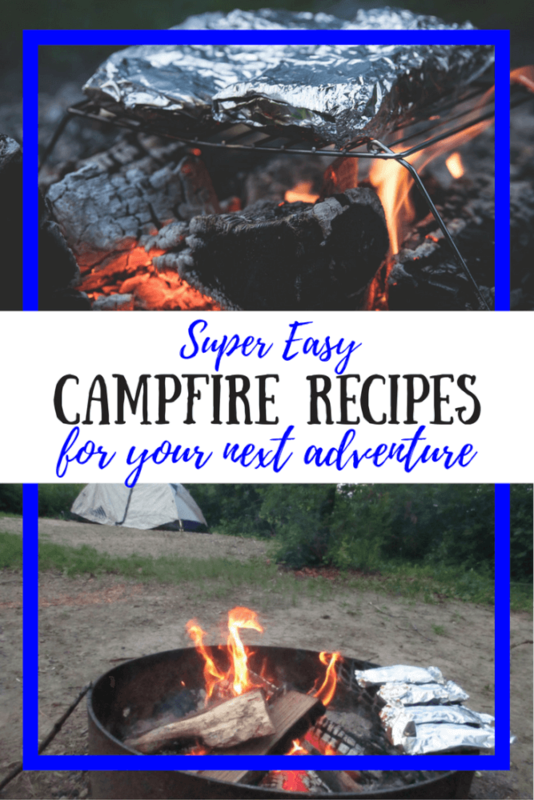 We are out camping all the time and always looking for easy yummy meals! We will have to try these out! Wow I love these campfire recipes! The foil packs look amazing! These will definitely be made at our next camping trip. Oh my goodness – these all look and sound so delicious. I love grilled food. Pinning these for later! We love camping, but I always get stumped on what to cook especially when there is not a body of water to fish from nearby! Love making the foil packets. A meal all in one for each person. 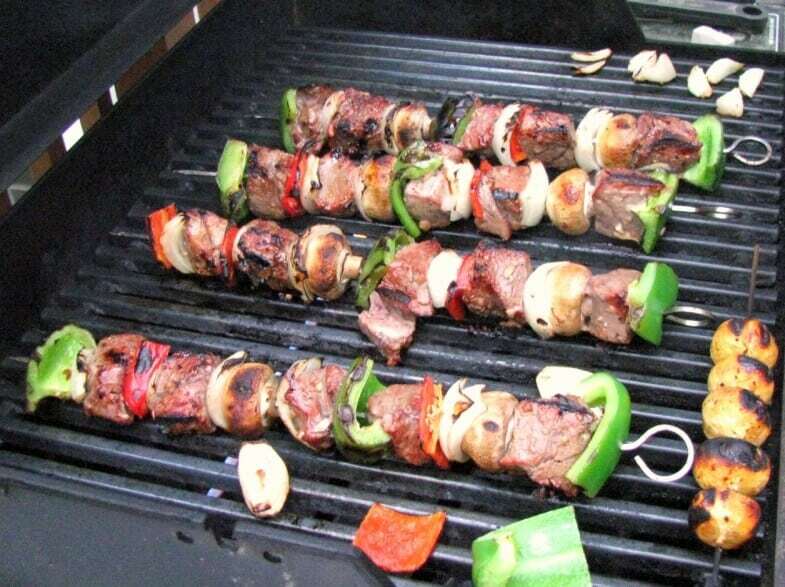 We always do the breakfast burritos and kabobs are a must when camping or just cooking out over the open fire.